Cristina Rujan is a Research Associate at ECIPE. Her areas of interest include the digital economy, innovation policy, and the EU Single Market. 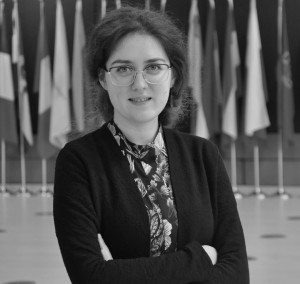 Before joining ECIPE, Cristina worked as an intern at the European Patent Office in Munich where she contributed to an empirical study analysing the relationship between the strength of patent protection and trade and FDI in the EU. She then completed a traineeship at the European Economic and Social Committee in Brussels. Since October 2018, Cristina is a Doctoral Student at the Max Planck Institute for Innovation and Competition in Munich. Her research interests include topics such as innovation economics, intellectual property rights and empirical industrial organization. She holds a Double MSc Degree in Economics from Maastricht University and Université Catholique de Louvain, where she focused on competition, regulation and innovation. She completed a BSc in Economics and Business Economics at Maastricht University prior to that.